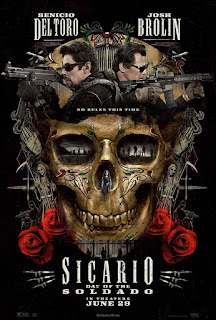 The film Sicario is a beautifully shot nihilist nightmare. Writer Taylor Sheridan and director Denis Villeneuve are some of the best working in the business right now. Their bleak look North American security politics is tormenting. Emily Blunt acts as a surrogate for us, the audience, as she descends into helpless disgust at a system which forces the worst moral choices possible. Stefano Sollima takes over the direction in this follow up but mimics the matter of fact, rather steady hand direction Villeneuve took with the first as he adapts Sheridan's sequel script, which feels in someways an attempt to humanize the characters a bit. Gone is Blunt's idealist and instead we focus on the rather monstrous characters of Brolin and Del Toro who the first film positioned as the "heroes" cleverly forcing us to align ourselves with something despicable. So Day of the Soldado is a bit of a moral relief as the film attempts to position our anti-heroes as more human than they appeared in the first film. Unfortunately for me that took away some of the punch. 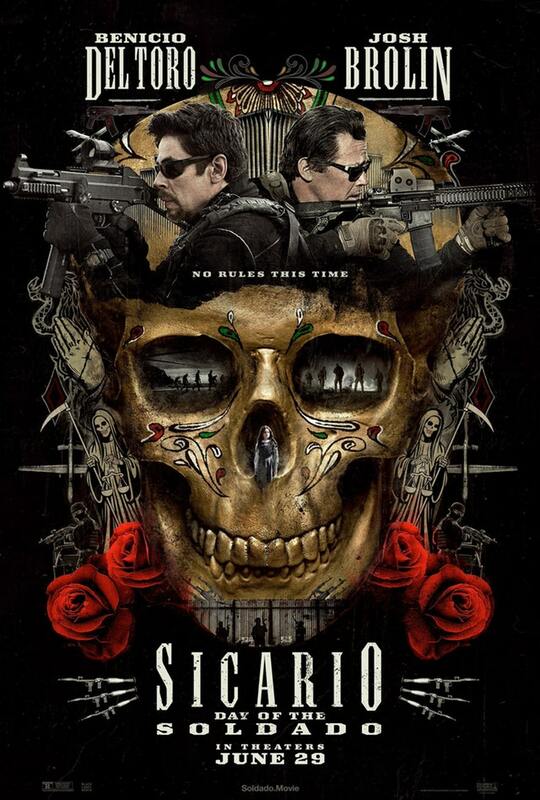 It was exactly their lack of humanity, and the way the film explored how the forces which crafted such monsters, which gave Sicario it's real power. It is a deeply disturbing film in the way it doesn't give us an out, a moral high ground to rest on. Soldado is a bit of a lesser film for this. Having said that, Soldado remains smartly written, intricately constructed, and fascinating from start to finish. Like the first film there isn't filler. The film follows one plot point to the next. And it is still skating the edge of just how horrible humanity can become. But perhaps Taylor felt he needed to show a certain amount of humanness left in his title character. I felt Brolin's character's actions at the end didn't completely mesh with the character but I was willing to buy Del Toro's motivations, even if the climax ends requiring us to stretch plausibility quite a bit. There is talk of making this a trilogy and the way Soldado ends makes me want to see the next chapter badly. And that makes the film successful even with the faults I found.